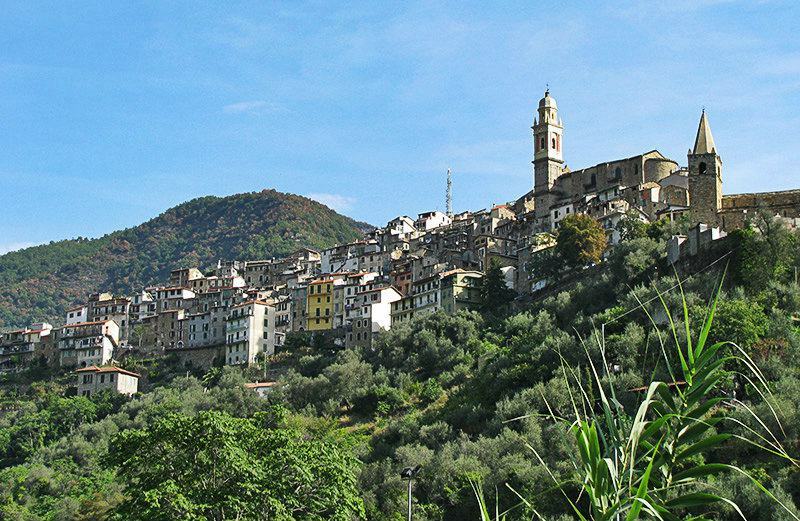 Visit the village of Argentina Tal during your holidays in Liguria, Italy. 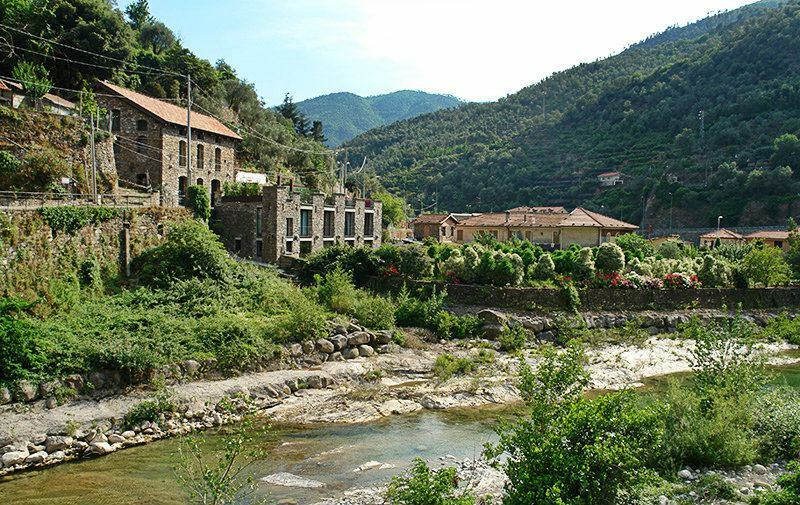 In this valley, wild mountain vegetation also covers the medieval villages. 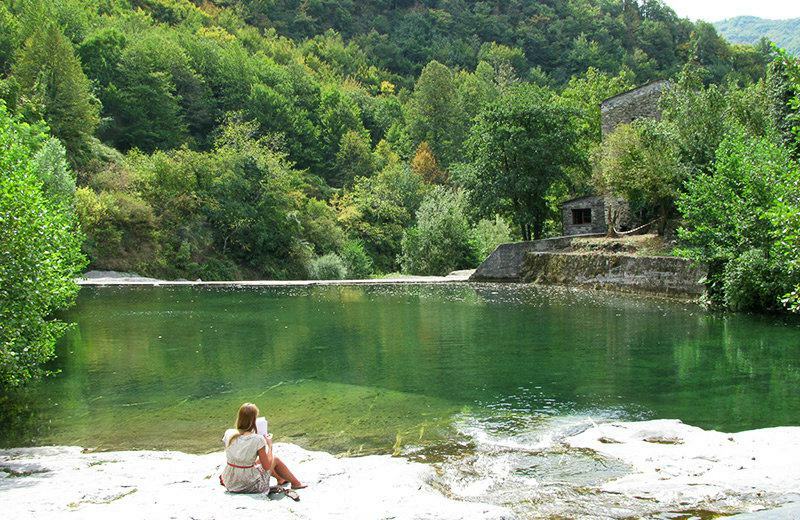 It is a true paradise for nature and sport enthusiasts! The Argentina valley is characterised by olive trees on the coast and chestnut trees in the hinterland. 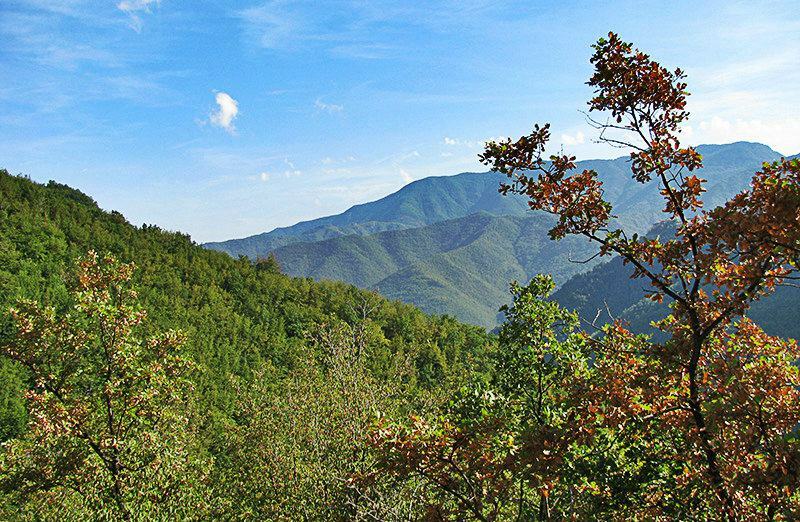 Monte Saccarello is the highest mountain of the Ligurian Alps at 2200 meters. An enjoyable path takes you from Realdo to the top of the mountain. The area offers itself to a wide range of excursions and bike tours. 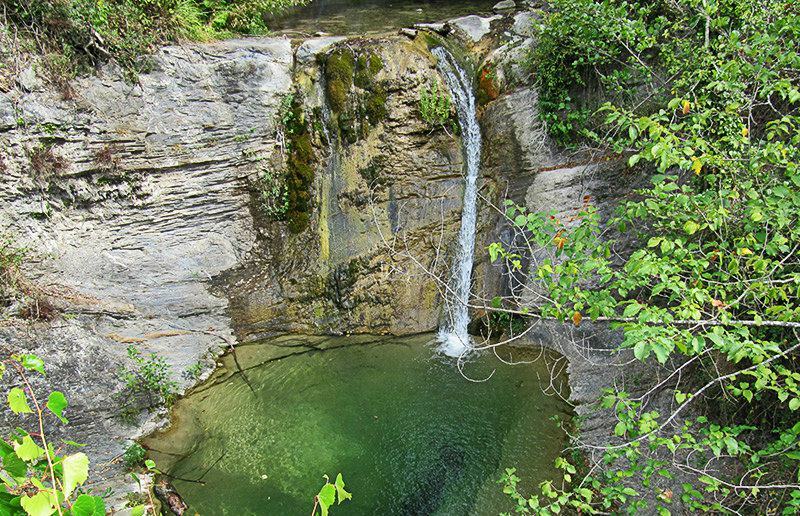 The clear water of the numerous little lakes, such as the Laghetto dei Noci in Molini di Triora, or that of the river Argentina provides welcome refreshment, not only after exercise. 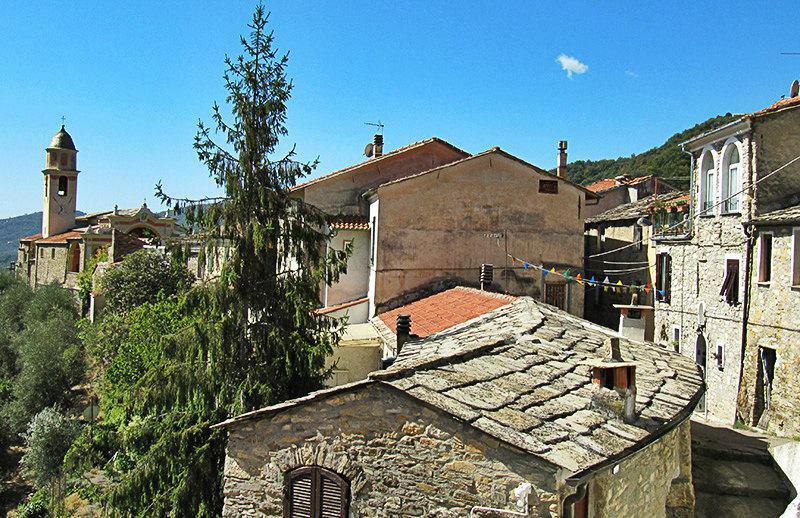 If you observe the mountains villages Carpasio, Montalto Ligure, Agaggio or Badalucco you will notice another characteristic of the Argentina valley: the roofs are made of slate, which originates in the area. The many churches and chapels, as well as the monasteries in Taggia, are definitely worth a visit. If you are interested in finding out more about the former peasant life of the inhabitants, the museums of local history in Pompeiana and Triora are a must. The Museo del Risorgimento in Costa (Carpasio) also comes highly recommended. A range of festivals provides entertainment throughout the year. 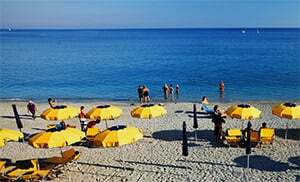 The patron saint San Benedetto is celebrated in Taggia in February, while the Festival of the Witches takes place in Triora on the 31st October. The summer is filled with ÂsagreÂ events, which are dedicated to culinary delights. The fish ÂStoccafissoÂ and white beans by the name of ÂRondinÂ feature in Badalucco, the ÂFrànduraÂ, which is a potato pie, holds centre stage in Montalto Ligure, while attention is given to snails, Lumache, in Molini di Triora. The Argentina valley extends from the coastal strip between Arma di Taggia and Santo Stefano al Mare through the hinterland of Badalucco and Pompeiana to Realdo. 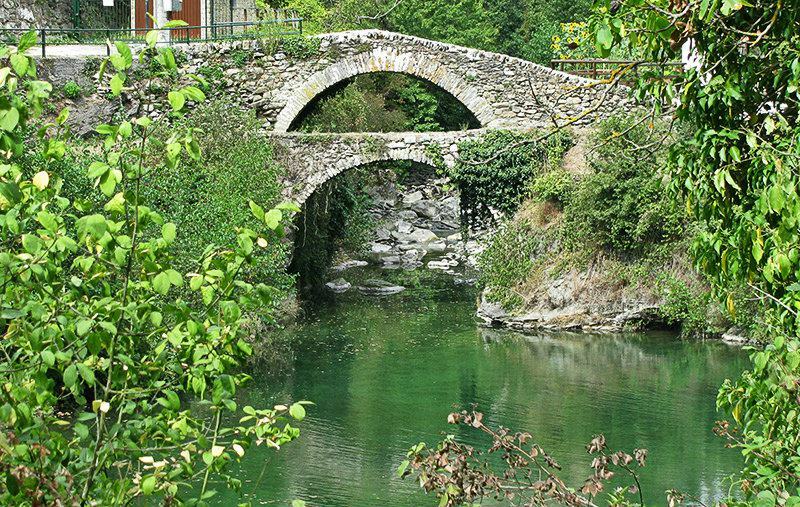 One of the most famous towns in the valley is Triora, which was listed among the most beautiful villages in Italy in 2001. It was the site of large-scale witch-hunting during the Inquisition in 1588. 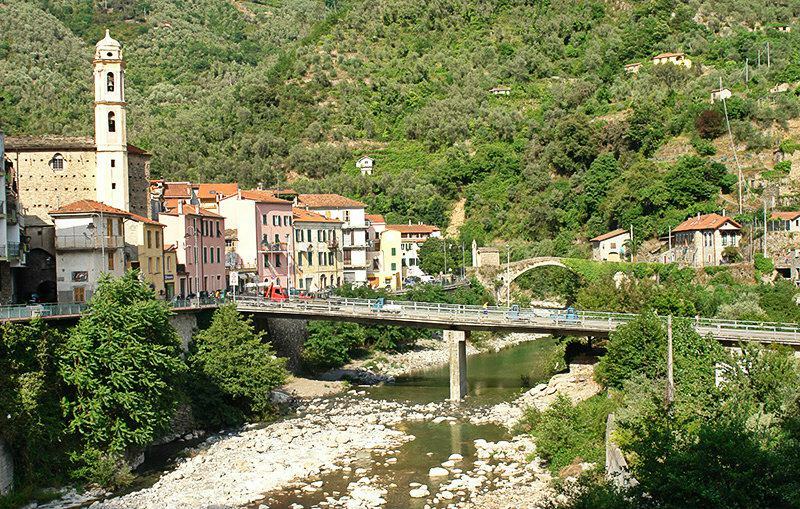 The Argentina Valley in Liguria consists of many small villages whose origin often stretches back to the medieval ages. Even primitive human sttlements from the pre-Roman era can be found in the Argentina Valley. The valley came under the tenure of Count Lascaris of Ventimiglia in the 11th century, and in the 13th century it fell to the Republic of Genoa. It was absorbed into the Italian Empire in 1861. During the Second World War, the valley suffered the ravages of war and entire villages were destroyed and depopulated. The Argentina valley stretches along the coast of Arma di Taggia up to Santo Stefano al Mare. To get to Arma di Taggia, take the E80 when coming from the direction of Genoa and then the highway exit to Arma di Taggia. To reach Santo Stefano al Mare, take the highway exit to Arma di Taggia and then follow the Via Beglini up to the SS1, which you will turn into on the left towards Genoa. Follow the SS1 until you reach Santo Stefano al Mare.